In this day and age, navigating the web can be tricky business. With the rise of e-commerce transactions, virtual business collaboration, and popularity of social media platforms, it's important to protect yourself and your personal information. 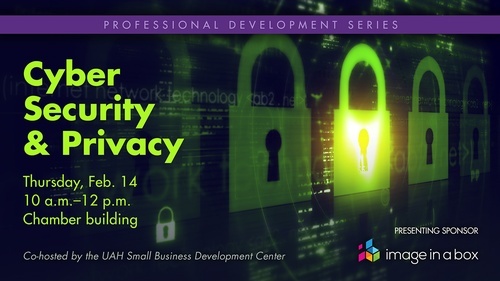 Join us as we discuss the fundamentals of cyber security and privacy in both your small business and everyday life.